Queen City Tune Up is a grab bag. It’s a development tournament for elite teams, a shot at a season defining win for others, an early algorithm point grab for bubble teams, and all that makes way for semis and a final that are usually phenomenal games.1 Last season’s Sunday was rained out, but if the weather holds out this time around, we should be in store for another wild weekend in Charlotte. #20 Maryland is one of the more compelling debutantes we’ll see this weekend. 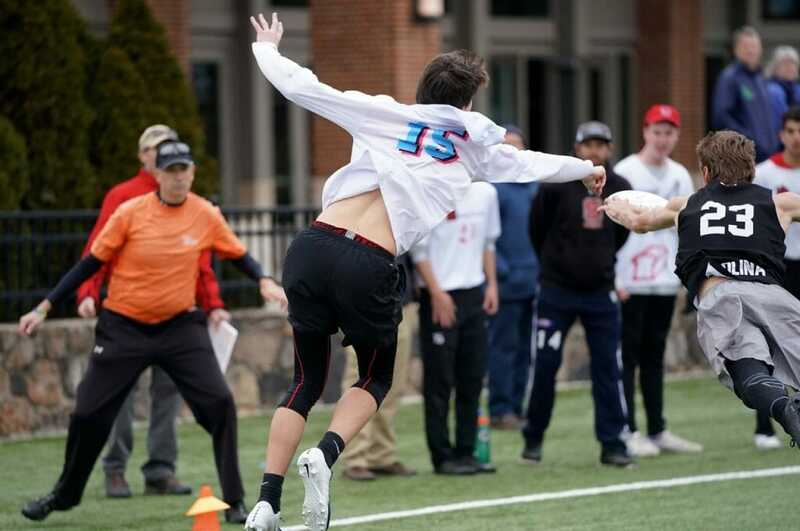 Darryl Stanley is perhaps the hottest coach in ultimate right now, and after getting Maryland to Nationals ahead of schedule last year, he’s building quite a buzz for this season. Returning the bulk of their stat production from 2018, including Truck Stop speedster Johnny Walden, this could be the year Maryland makes their move. Walden suffered a recent hamstring tweak and may be on limited minutes this weekend, but, when healthy, he is one of the best players in the Atlantic Coast, if not the country. Last season at QCTU, Maryland previewed the grit they would need to fight through a tough Regionals when they held off Pitt in an ugly but deserved win. They’ll have greater expectations this time around, and we’ll see if they have more than just grit to offer. Standing in Maryland’s way in Pool B is #7 Massachusetts Zoodisc. They are journeying down from chilly Amherst to start their season, and will get a good early test in a stiff pool. UMass has made made the semis of QCTU every (non-rain cancelled) year since 2015, and their third round game against Maryland will likely have big implications on whether they will return. The offense will once again revolve around returning Offensive Player of the Year Tannor Johnson, and most of the things we stand to learn about UMass early this year are impacted by how Johnson is used. Will he spend time behind the disc to get more touches? Who becomes the primary distributor if he stays downfield? Jake Radack should be getting plenty of touches, and Eugene L’Heureux, Ethan Smith, and Jared Scheinberg all impressed in the fall. With Tiina Booth and her coaching staff in place, you know the depth will be there by the end of the season, but how the pieces at the top of the roster are moved around is still a question. #25 Ohio State heads down to Charlotte with one job, and it’s the same one they will have all season: squeezing as many possible algorithm points out of each game they play. I cannot emphasize enough the extent to which Ohio State needs to root around in the muck for these points, like a hog sniffing out truffles. This is their reality. Throw out a kill line against App State’s rookies to get a break that ensures a max point win? Do it. Call a timeout against UNC while losing to ensure a hard cap loss rather than risk giving up another point because it preserves a positive algorithm outcome? DO IT. Don’t listen to your conscience: listen only to the call of those sweet, sweet truffles. There’s plenty to be excited about for Ohio State, too. Sion Agami’s coming off of a superb club season, Andrew Kramer is a big pickup, and Axel Agami is one of the top rookies to watch at the tournament. #1 North Carolina are defending champs at QCTU and will hope to keep their undefeated start to the season going after winning Carolina Kickoff in January. Darkside could be more imposing this weekend, potentially returning Liam Searles-Bohs and a few others who were absent from Kickoff. UNC won their first tournament of the year with only 17 players, but they will be glad to have more depth against a stronger field this weekend. #23 UNC Wilmington always seem to do well at Queen City, but this year especially they could really use a good performance. Bottoming out at Regionals last year and failing to launch at Carolina Kickoff a few weeks ago, UNCW hopes that the familiar fields in Charlotte could mark the turning point for their season. UNCW don’t have the personnel to beat teams playing the rowdy lunatic ball of the Xavier Maxstadt/Jack Williams glory years. What’s troubling is that they also don’t seem polished enough to consistently execute playing at a lower degree of difficulty. Queen City has been a place where Wilmington players have made their bones in the early season, and guys like Rick Hennighausen and Matt Ellis will be among the most talented at the tournament. Right now, though, they seem like “guys who aren’t Jack Williams,” and they will need to be more than that if Wilmington is going to make the final this weekend. QCTU is Wilmington’s stronghold, and a strong defense of their turf could stop their programmatic rot — or be an indication that the rot is real. At this point, #10 NC State has become like those Lob City Clippers teams. They are decidedly talented but there have been rumblings (or more) of a toxic culture, they keep choking in the one or two big games that actually matter, and now we need to watch them play out the thread for a whole regular season just to get back to that moment that we actually care about, that moment where they just might not mess it up this time. The problem with trying to get anything from NC State during the regular season is that it legitimately doesn’t matter what they do, because we can’t trust them to tell us anything meaningful until Regionals. It’s all noise and no signal. Certainly, there are promising signs about a cultural turnaround, but, for now, enjoy the dunks and wait for the postseason. After a disappointing loss to LSU in the final at T-Town Throwdown earlier this year, Auburn will likely get a crack at a top ten win over NC State or UNC, while still getting good reps against the kind of teams that will be trying to displace them at Regionals. With Eric Sjostrom leading the way and a deep bench, Auburn may be able to enthusiasm their way to semis or beyond. While other teams muddle through early season rust and error plagued marathon points, the Auburn sideline is usually too busy making a human pyramid to care about turnovers. If the weather or the level of play gets sloppy, this could be a big advantage. Of the lower seeded teams, Notre Dame has the most buzz coming off a good showing at Carolina Kickoff where they won their pool and beat Emory in the process. They received a tough draw, however, as the twelfth seed gets two tough games against the no. 4 and no. 5 Wilmington/Auburn combo as well as a very losable game against the 13th seeded Virginia. Comments on "Queen City Tune Up 2019: Tournament Preview (Men’s)"